Over the years, the Tyalgum Music Festival has matured to a collaborative festival offering an international standard of performance, through the theme of “Music, Art and Nature in Australia’s Green Cauldron”. Tyalgum is a rural village of 300 people just inland from Murwillumbah, and south of the Gold Coast. The festival showcases excellence in classical and experimental music, mixed with deep community engagement. It provides the region of Northern NSW with a dynamic, innovative and immersive program of music, an influx of visitors, and a gathering place for the presentation of new work, new curatorial ideas, and cultural engagement for the region. This festival is designed to engage with the local community through free interactive festival activities and musical encounters, as well as provide a full weekend of ticketed concerts in the amazing acoustic of the Tyalgum Hall built in 1908. Since 1991, Tyalgum Music Festival has developed into a flagship event for the Northern Rivers region of NSW and has a reputation for creative excellence including the opportunity to hear new Australian compositions. Tyalgum Music Festival prides itself on top-class ticketed concerts as well as vibrant outdoor performances and community events taking place all weekend around the village. 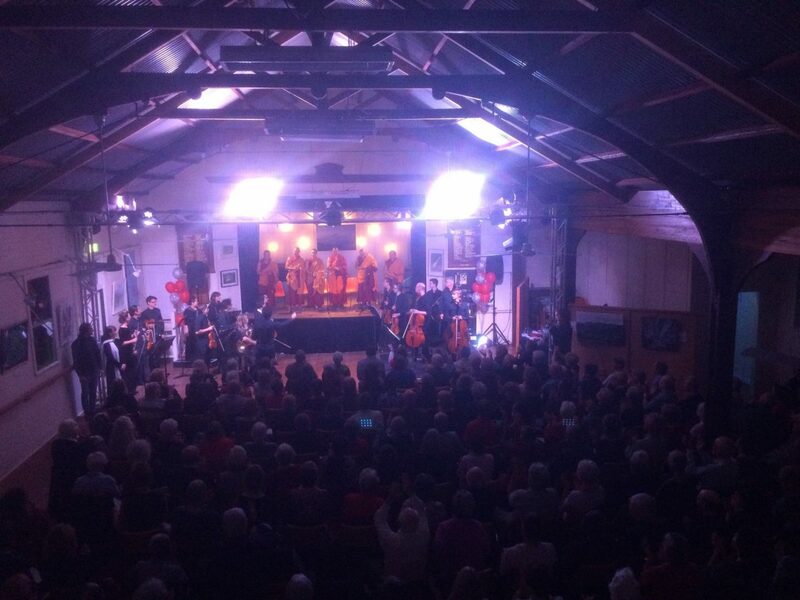 Tyalgum Festival aims to provide Northern NSW with an international quality chamber music festival in a beautiful setting for the benefit of local tourism, regional audiences, and chamber music audiences more broadly. The quality of ticketed events in the local town hall has traditionally provided strong at-capacity audience numbers. Recent festivals have broadened access to the festival and increased opportunities for community engagement by providing musical experiences for people of all ages and social-economic backgrounds by means of the vibrant program of outdoor activities. This can include pop-up performances, workshops, participatory events, and sonic investigations. The aim of the festival is to combine the accessible and colourful array of festival events with innovative and artistically strong, challenging, vibrant works. Tyalgum Festival is a regional festival that integrates deeply with the local community; intersecting with local businesses, local council, and local schools. It engages with a range of volunteers from the region to participate in a variety of capacities, and greatly expands visitors to the region to assist local businesses. These aims and objectives have garnered significant national attention with the festival being listed in Limelight Magazine (Oct, 2013) as one of the top 20 classical music festivals in Australia. The 2014 and 2015 Festival was one of four nominees for the National Prize for Regional Excellence awarded by APRA AMCOS and the 2017 Festival won the NSW state award. Over the years the Tyalgum Music Festival has matured to a collaborative festival offering an international standard of performance, through the theme of “”Music, Art and Nature in Australia’s Green Cauldron””, and enjoys strong support from within the arts, cultural, tourism and business sectors of the Tweed Shire and the Northern Rivers region. 2015 sees an exciting mix of concerts in the Tyalgum Hall as well as the outdoor music event, ‘Singing up Tyalgum’, bringing music and a festive atmosphere to the main street of Tyalgum. A selection of Australia’s finest ensembles entice visitors from afar to this beautiful part of the world as well as involving the local community. The organisers have strengthened their association with the Queensland Conservatorium of Music, and are planning some additional performances in and around the local shopfronts as ‘pop-up’ concerts to add to the festival vibe. A family concert, late night music, local groups in community events and post-concert evening entertainment as well as high class chamber music groups in their own festival concerts. It is promising to be a Festival not to be missed!